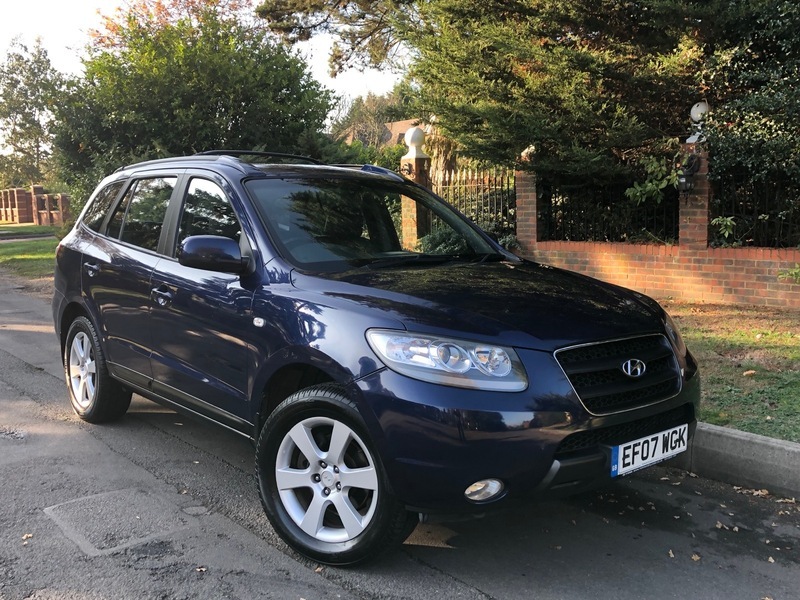 This 7 Seater Santa FE comes with mot until November 2019 and can be Taxed ready to drive away at just £315 a year this is the cheaper tax band. It does have a really good service history with 10 service stamps in the book with the last service having been done just 3000 miles ago. It does have Remote central locking, Alarm Immobiliser, Roof Bars, 18inch Alloy wheels, Leather seating, Electric front seats, Heated Front seats, 4 wheel drive lock, 4x Electric windows, Electric mirrors, Radio Tape player and 6 Disk CD changer with steering wheel controls, Cruise control, Air con Climate control, Drivers information system, Cup Holders and Arm Rests, ESP, Drivers passengers and side air bags, Anti locking brakes and more. We do take part exchanges and we are open 7 days a week.